Place of Birth: Halifax, Yorkshire, England, U.K.
Ed Sheeran is a British singer, songwriter, guitarist, and record producer. He is the son of Imogen Lock and John Sheeran, who ran art consultancy Sheeran Lock. 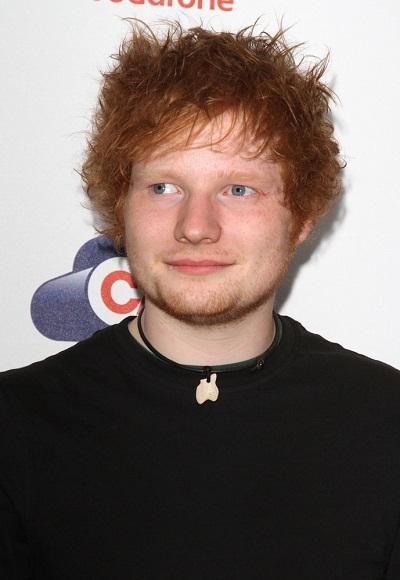 His brother, Matthew Sheeran, is a composer. Ed’s paternal grandfather was William Murray “Bill” Sheeran (the son of James Henry Callow Sheeran and Rachael Eveline Murray). William was from Belfast, Northern Ireland. James was born on Douglas, Isle of Man, the son of Arthur Edward Sheeran, who was born in Elland, Yorkshire, England, and of Catherine Callow, who was born on Maughold, on the Isle of Man. Ed’s paternal grandmother is Anne/Ann Mulligan (the daughter of Thomas Mulligan and Mary Anne Kavanagh). Anne was from North Wexford, Ireland. Thomas was the son of Thomas Mulligan and Mary Brown. Ed’s great-grandmother Mary Anne was the daughter of James Kavanagh and Mary Anne Doyle. Ed’s maternal grandparents’ surnames were Lock and Walker. Thomas was the son of Thomas Mulligan and Mary Brown. Mary Kavanagh’s middle name is Anne, and her mother was Mary Anne Doyle.